‘Tis the season once again for festive parties, Christmas events, and more family gatherings than you bargained for. Fortunately, Philadelphia knows how to throw down for the last two months of 2017, and between holiday light shows, traditional xmas parades, and rooftop NYE parties, there's no shortage of festive shenanigans to get up to. Lace up the ice skates and plaster on a smile -- it’s the most wonderful time of the year, after all. More than 50,000 lights decorate and dance throughout Franklin Square for the Electrical Spectacle Holiday Light Show, where a musical soundtrack underscores the twinkling every 30 minutes. For drinks and eats, check out the hot chocolate bar, s’mores station, and beer garden. The Rothman Ice Rink returns in the shadow of City Hall, so lace up your skates. (And if you’re a newbie, you can sign up for learn-to-skate classes.) Afterward, grab a beer at the on-site cabin grill, complete with fire pits. Heads up: Every Wednesday from 5pm to 7pm, there’s happy hour deals including $6 Effen vodka cocktails, $5 wine, and $4 Bud Light draft beers. 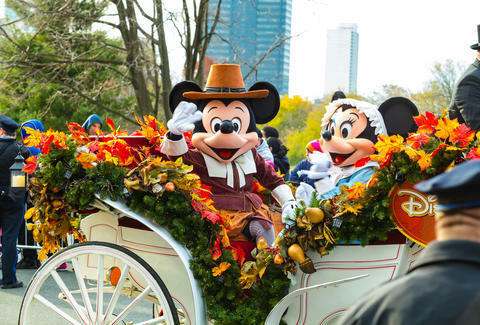 If waking up early and standing in the chilly weather is your cup of tea, head to the Thanksgiving Day Parade to see floats, bands, dancers, performers, and all the other usual parade suspects. This year’s special guests include OG American Idol finalist Justin Guarini, the Pennsylvania Ballet, and Mickey and Minnie Mouse. You can’t not see the immaculately decorated gardens and conservatory full of trees, wreaths, ponds, and more, all dressed up in its holiday best. Bundle up for the legendary outdoor stroll where half a million lights adorn the grounds’ greenery. This year it’s French-themed. Christmas Village, the German market-inspired shopping stable returns to the newly renovated LOVE Park with vendors housed in more than 80 cutesy wooden booths. Keep an eye out for new sellers including chocoidea’s uniquely shaped chocolate products, Heimat Berlin’s star-shaped lampshades, and truffle masters The Truffleist. Leave the shopping to mom and peep the Christmas Light Show and Wanamaker Organ Concert at Macy’s where 100,000 LED light snowflakes, ballerinas, and reindeer dance to the sounds of the historic organ. It’s a tradition that’s been around for 50-some years and is definitely a major draw to the landmark shopping location. This year, the Philly POPS’ annual holiday concert includes over 300 musicians putting their spin on How the Grinch Stole Christmas and other holiday standards. Featuring vocalist Justin Hopkins, the Philly POPS Festival Chorus, the Philadelphia Boys Choir, and the African Episcopal Church of St. Thomas Gospel Choir, it’ll be a night of tunes too jolly not to love. What’s the holiday season without The Nutcracker? The classic show features intricate sets and costumes, and, of course, giant mice, a giant Christmas tree and a nutcracker prince. See the Pennsylvania Ballet perform the ballet to Tchaikovsky’s most recognizable music. The annual Parade of Lights features a procession of working boats making their way down the Delaware all decked out in holiday lights. Kids can also make their own ornaments and gingerbread boats. Come early for a visit from Santa. The Punk Rock Flea Market makes its home in the former South Philly technical school for two days with a unique roster of vendors each day. Peruse records, vintage clothing, jewelry and more out-of-the-box gifts for the hard-to-shop-for person in your life. Every year, the museum opens its doors for a day of family-friendly activities including crafts, storytime, live music from children’s group Alex & the Kaleidoscope, and access to the galleries. New Year’s Eve is a real treat on the waterfront. Enjoy two fireworks shows -- one at 6pm (for those of us with early bedtimes), and the other at midnight -- to ring in the new year. You can also score a good view on the New Jersey side of the river, too. FringeArts’ New Year’s Funkin’ Eve party features live music from Ill Doots and DJ Dame Luz, a champagne toast, access to beer garden fire pits, and a cash bar at La Peg. With panoramic views of the city, you’ll be ringing in the new year in style (this is a black-tie affair) with an open bar, hors d'oeuvres, and all-night dancing. Walk out to Race Street Pier to peep the fireworks at midnight and get warmed up again with grooves and tunes. Whether you’re waking up early for the festivities or raging from the night before, it’s imperative every Philadelphian attend the Mummers Parade at least once. See the costumed string bands strut down Broad Street, then head over to Two Street for the after party -- assuming you’re not still nursing a NYE hangover, that is.